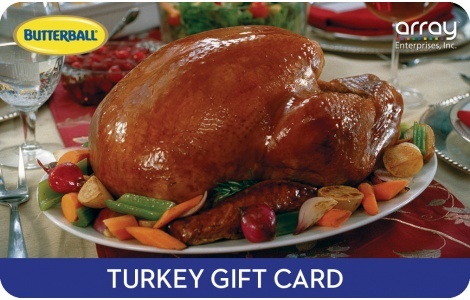 Giving the gift of a delicious Butterball Turkey has never been easier. Array’s Rewards Experts do all the work. Showing your appreciation to your employees with America’s #1 branded turkey has never been easier. Recipients may then redeem the Butterball Gift Checks at their favorite store for any Butterball turkey products or other grocery items. Butterball Checks do not expire. Butterball Gift Checks can be cashed directly at your favorite grocery store for your favorite Butterball item or any other grocery item. If you have questions regarding your Butterball Gift Check email Customer Service at customerservice@butterballturkeygift.com.